Most people won’t finish what they start. 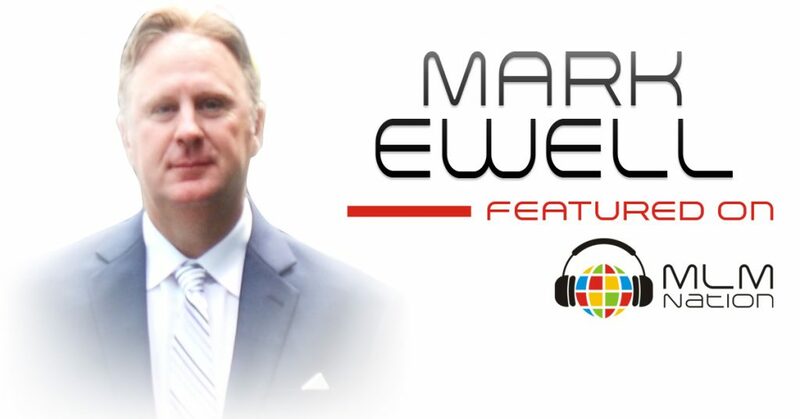 Mark Ewell shows us that network marketing is a people business; serve them, bless them, help them be the best they can be, and do whatever you can to put them in a position to win. Also, it is an incredible privilege and honor to be able to stand in front of people and speak into their lives and give them the kind of hope that allows them to start dreaming again, but you have to have your mindset right in order to do that. Mark Ewell got started at 21 years old when he was a bellboy at a local hotel and has over 29 years of MLM experience. Mark has achieved numerous accolades in his network marketing career and has earned over $40 million in lifetime commissions in just 3 companies. Aside from being a leader, he’s also been a speaker, corporate consultant, and has trained tens of thousands of people around the world. Mark is married to his wife Jill and they live together with their 7 children in the Salt Lake City, Utah area. He loves the outdoors and activities such as fly fishing, hiking and camping, and thanks to his network marketing business, he’s been able to visit all 50 states in America and over 70 countries around the world.